When University of North Dakota opened its renovated Wilkerson Commons in September, it boasted nine customizable stations—specializing in everything from vegan fare to “Dakota homestyle” comfort food and global cuisine—without adding any new SKUs, says Greg Gefroh, executive chef of UND Dining Services in Grand Forks, N.D. “We were able to incorporate products that already existed in other dining venues,” he says. 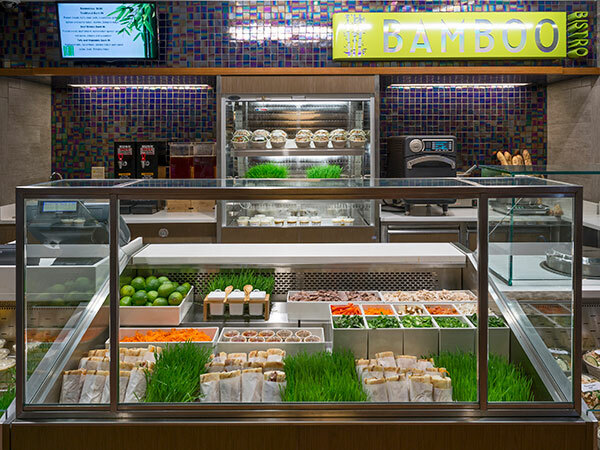 Stations focusing on salads, sandwiches and omelets—last decade’s customization models—have evolved into a much wider variety of DIY options for today’s “made-for-me” consumer. Operators’ fresh efforts, inspired by both restaurant menus and their own customers, not only are engaging diners, they often are reducing waste and food and labor costs. Judging from students’ love of pasta, Gefroh figured the noodle bar would be the star attraction, but the global-cuisine station turned out to be most popular. Gefroh patterned it after casual-dining chain HuHot Mongolian Grill and offers an array of cold vegetables, proteins and sauces so customers can build their own meals. During the fall term it featured a basic Asian stir-fry, but next semester will switch to Indian and Korean options. All prep work is done ahead and the ingredients are cooked to order, cutting down on food waste. Asian is booming at Vanderbilt University as well, says Bill Claypool, assistant director/executive chef for campus dining. “Diners line up outside our Bamboo Bistro concept to be first in the door when it opens at 11 a.m.,” he says. 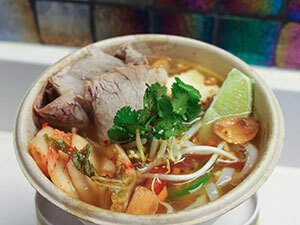 Southeast Asian is the niche here, with noodle bowls, banh mi sandwiches and pho among the customizable stations. Flexibility is key when feeding millennial and Gen Z diners, who are on the hunt for the new and different, according to 2015 consumer research from Technomic. Stations with changing themes play well in the University of Southern California’s residential dining halls, says executive chef Eric Ernest, who serves 30,000 student meals a week on the Los Angeles campus. Regional Asian, including Thai, Vietnamese, Indian and Korean, as well as themed bars with hand-held portable items, such as tostadas and ssam, are among his rotating concepts. “Anything that’s mobile, such as a shell or flatbread, easily lends itself to customization,” says Ernest. But what makes customization especially successful in an academic environment is its experiential component, Ernest adds. “Students get the chance to co-create with our chefs, to create an experience and share that experience on social media,” he says.